There can be a lot of tension between Campaign “managers” and Election Agents, And then if the candidate “takes sides” with one in preference to the other there certainly can be chaos. I have seen it at first hand. But, Barnaby, did you see any blood in the water? Oh dear – more coverage in Private Eye. Apparently in his resignation letter to Andrew Turner last Saturday, his election agent David Walter referred to “”significant anomalies and ambiguities” in campaign finances”, which are “not acceptable” and could breach electoral law”. His assessment of Mr Turner was “”Your failure to provide any leadership in your campaign – or demonstrate an ability to make decisions yourself – has led to this wholly regrettable situation. It does, of course, raise serious questions about your basic competence to continue as Member of Parliament for the Isle of Wight””. The Green Candidate VIX LOWTHION is reportedly topping each poll on the island and is heading for a surprise win. ahhh… you mean this poll? The Conservative car crash of a selection / campaign could yet result in a repeat of Feb 74 – but still totally unclear who the beneficiary will be. Not just online polls but typical ones too. There is a poll on the front page of the local newspaper which puts VIX LOWTHION firmly in the lead. There are reports that the Green campaign has been receiving large donations as the issues have hit the incumbent. The twitter address for VIX LOWTHION is @VixL make contact and request details of each poll. This is heading for a surprise Green win. You certainly get the feeling that there could be a very wide spread of votes and 30-35% could be enough to win. This hustings poll is what you mean? D.Alex has surpassed himself for sheer credulity & inability to see the wood for the trees. This will NOT be a Green gain! Even if the winning candidate gets 35% the Greens will be nowhere near, stuck somewhere around 5%, in fact I suspect they will come sixth. I’m confident the Tories will hold here but as for the order the rest of the parties finish who knows. I would go Con, UKIP, Lib Dem, Ian Stevens, Labour, Green. What makes you so confident? Its not like the travails of the party and the medical issues of the MP are any secret to islanders… Its hard to think of a seat with more dirty washing flapping in the breeze in recent times.. This is the Tory equivalent of Bradford West.. The deselection (or not) was a sore point for a lot of last year.. finally when it was settled (only just) all this extra stuff comes out about internal dissension.. This puts either the independent or the LibDem in the best position to win this.. The claims of “”significant anomalies and ambiguities” in campaign finances” made by Turner’s former election agent do raise the possibility that the result on 7th May might not be the end of the story here. That’s a good point. I see UKIP are down to about 4-1 in the betting odds this morning here. I have no local knowledge, and suspect this is a place were local knowledge of what’s happening on the ground is key. However from the outside it does look as if Turner might just get back in because 30-35% could as you say win it Stephen, with the opposition vote being split between UKIP, Stephens and the Lib Dems. If anyone can beat the Tories here it probably would be an Independent, but in a general election most voters will probably reluctantly vote Conservative whatever the perceived shortcomings of the candidate. The LDs are finished here now, for now at least, UKIP don’t quite have the demographic to win in enough parts of the island (though they do have some promising towns), Labour are negligible outside parts of Cowes & Newport, and the demographics of the island are not remotely conducive to the Greens either. In other words, Mike is surely right. Barnaby you cant judge the island by mere demographics as these dont capture attiudes or social culture on the Island which is very green and independent of thought. There should be some point at which a candidate becomes so unfit as to be unelectable, although given some past cases one wonders. Ian Stephens didn’t do himself any favours when he casually downplayed an incorrect payment of half a million pounds to a company in liquidation when he was leader of the Isle of Wight council. So Andrew Turner survives after all. The Isle of Wight voters are a very forgiving group. Surely the only seat in which UKIP and Green will both finish top 3?! The other one is Buckingham. But this is much more significant as a Green success – as it makes them the leading left party in the constituency. I don’t think there was ever any question that the Conservatives would hold here, given the fractured opposition, but I thought that Turner’s vote might fall into the 30s. The collapse of the Lib Dems in this seat is quite remarkable given their history here. Of course, their problems here go back to well before the coalition. Re the resignation of the Election Agent. I wonder if that candidate then appointed another person as Election Agent? Otherwise the Candidate would automatically become his own Agent. I wonder who will complete the Election returns? The Original Agent needs to send a letter of explanation to the Electoral Commission via the Returning Officer. A good performance for the Greens probably aided by the completely false reports that they were in the lead. Nevertheless they almost certainly won’t ever win here as the seat is just too right inclined, their ceiling here is probably about 25% which is not enough to come first. 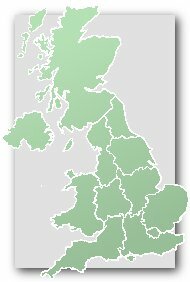 How did the Greens poll that much in Isle of Wight? That’s better that some of their official target seats. Do they have a local presence or something? Neil – I think it was just a case of voters going elsewhere from an MP who has problems. DD – Since the advent of the Electoral Commission, an agent can’t resign once filed after close of nominations. Of course, Party agents can resign as paid agents and office staff etc. The agent is still bound by law to file a return. Someone further up the thread reported that an Agent in this seat ( The Conservative, I think) had resigned. One of the Conservatives’ worst results in the South, masked by the even bigger fall in the LibDem vote. The boundary commission is almost certain to split the Island in the next review, so I guess at least some of its residents have a chance of an end to being represented by the incapable buffoon just re-elected for the IOW. Under present law the Boundary Commission for England are bound to divide the Isle of Wight into two seats. It is one of the special cases provided for by the primary legislation. it says very little for Conservative supporters that they are prepared to go on voting for an MP who is widely reported as unfit to fill his duties. Am I cynical enough to think that Tory whips are happy enough to have an unfit MP becasue he won’t be likely to rebel? That says very little for them either. P.S. What has happened in the Isle of Wight demonstrates strongly whilst voting should be by porportional representation between individual candidates in multi-member constituencies. Does anyone have a good idea of where the divide will be and whether it will make two seats with similar characteristics to the above or two rather different ones? I hsve rather assumed that there would be an Isle of Wight East and an Isle of Wight West, although to get seats of roughly even population the East seat would need to be geographically smaller than the Western one. This seat is Number 17 on UKIP’s target list and Number 10 if one just counts those where UKIP are in second place. The notional swing require is 9.75%. Given that it has already be promised that Isle of Wight will be split into two seats at the next redistribution,, UKIP will require a swing of less than 9.75% in one of the two seats. I would estimate that this will be whichever seat contains the very grotto resorts on the East of the Island, notably Sandown. In fact it is not unlikely that this new seat would have been notionally UKIP in 2010. A considerable amount will depend on whether the Conservatives see sense and stop nominating an MP who very many people think is medicaclly unfit to fill the position. Ukip would be advised to concentrate resources on this seat continuously between now and the next General Election, and presumably the Conservatives will need to do the same in the hope of retaining the new seats. I notice that UKIP currently has two Councillors. One is in Ventnpr and one is between Ryde and East Cowes. Ensuring that their councillors attend regularly and building up UKIP representation, particularly in target areas, needs to be a priority for UKIP. notionally UKIP in 2010? Should that be 2015? Yes, thanks for the correction MikeInSouthDevon. Today’s “Private Eye” features the MP here yet again. Firstly they bring our attention to a meandering question that Turner asked Cameron about a tiger being denied entry to Sandown zoo (sic). Secondly, they discuss Turner’s expenses. Apparently he now claims expenses for staying in a hotel; but he has sold his flat in Kennington to his wife, who receives all the rent. When he bought the flat in 2012, “Private Eye” says it was for the purpose of staying in London to represent Islanders. Yet again, this MP is a disgrace. Failures to deal with him bring the Conservative Party at Westminster, the establishment figures who stand behind them, and Cameron himslef into equal disgrace. This is noit a party matter except in that the Tory Party is yet again failing to ensure that their MPs have basic competences necessary to do their jobs. I suspect that in the hypothetical world where Cameron got a fragile majority in 2010 and there wasn’t a coalition, this seat would have gone very yellow again – there just wasn’t anyone who could capitalise on the MPs performance in 2015. Perhaps neither the LibDems, the Greens nor UKIP got. your act together. This seat was there for the taking if one of the candidates had launched an appropriately aggressive and sustained campaign aginst the sitting MP, who from the press accounts appears to be a venal and selfish lame duck. That’s sort of what I’m saying – the Lib Dems were demoralised and with a national picture heavily stacked against us, and the Greens and UKIP were trying to come up from nowhere which was just too big an ask. Turner’s misdeeds did not go entirely unnoticed in that an Independent candidate saved his deposit, which is a comparatively rare event. Turner is the closing thing to running a “cigar store Indian” as a candidate… says quite a bit about the Tory branch on the island (though some did valiantly try to defenestrate him) but even more about the voting population.. say what you like about UKIP voters, the result here makes me wonder what is going on inside the heads of the Tory voters. Most people vote for the party not the candidate.